Anyway… On Tuesday 13th November 2018, a group of young climate activists descended on the office of Nancy Pelosi, expected to lead the Democrats in the US Congress. They were demanding that she set up a special committee to create a proper climate action plan for the country – a Green New Deal. The actual demand is for Democrat leader Nancy Pelosi to set up a special committee. This would have a specific mandate to spend two years building out a proper detailed plan for how to implement a Green New Deal, and then in 2020 when the next election rolls around, this time the big Presidential one, they would then have the plan ready for their campaign, and ready to implement if and when they win. And now that Democrats have control of Congress, Pelosi has the power to set up committees – with no approval needed from the Senate or President. Nancy Pelosi herself has expressed some support for it, though hasn’t actually agreed. It’s extremely ballsy for AOC to make such a demand of her before even starting work, and siding with the external activists doing a sit-in was certainly a far cry from the usual wheeling and dealing behind closed doors that politicians usually engage in to get their ideas through. 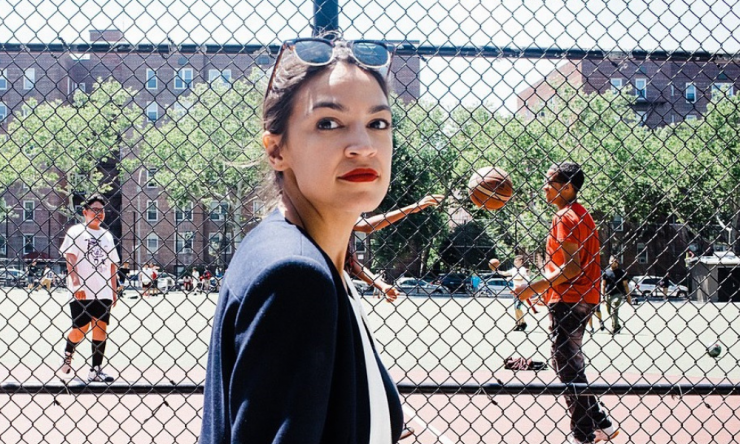 But with this bold opening move AOC has made a name for herself and pushed ambitious climate action right onto the agenda. Pelosi may even need AOC’s support to be elected Speaker of the House, as she can’t afford to lose very many votes. I’m very excited to see how this develops. If you’re as excited as I am, I suggest following the #GreenNewDeal hashtag on Twitter and following @Ocasio2018, @justicedems and @sunrisemvmt. And I’ll be writing about this more soon! And as always, subscribe to make sure you get the my next post. Section B of article 6 reads as purposely ambitious social engineering. This should be toned down if the « deal » is to see the light of day. Wording should be enough to the effect of assuring training for well payed long term jobs for a broad base of the population.